A very important aspect of Healthcare, let's talk about HIPAA Compliance. HIPAA is apivotal factor in the healthcare industry, but why? The reason behind this is that Americans are concerned - quite reasonably so, about their private health information being handled via the Internet. The keyword being - PHI (Protected Health Information), which is a completely valid and justifiable worry. In this post, we’re going to outline some basic information about HIPAA and its existence. The HHS - Department of Health and Human Services Office for Civil Rights enforces these Privacy and Security Rules. 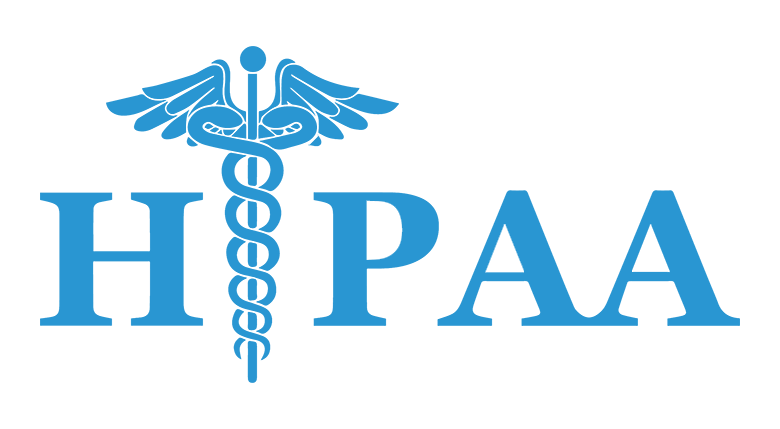 HIPAA came into effect in 1996 enacted by the US Congress. This act basically protects the health information of American Citizens by making health information privy only to selected members, who need to work with this data for purpose of transcription, coding, billing and submitting claims. Without a workforce of coders, transcriptionists, billers, it would be very difficult for the healthcare process to go on smoothly. There is a huge workload being generated as each doctor-patient encounter needs to be documented and sent to insurance/payers for payments in the USA. So the catch here is that although work should proceed unhindered, utmost caution should be taken to protect the health information from falling into the wrong hands. To achieve this goal, healthcare companies must follow the rules laid down by HHS diligently and quite vigorously. Failing to do so may result in being sued in a court of law, breach of trust and also attract huge penalties in the form of fines, and also result in imprisonment at times depending on the sensitivity of the information leaked and resulting damage. Most doctors and healthcare practices outsource back-office tasks such as medical billing, medical coding, revenue cycle management, claims submission, denial management, patient engagement etc. A major reason for this is the rise in demand for the doctor’s valuable time. While the above-stated tasks require profound concentration and diligence in order to keep the cash flow smooth and the practice profitable, it hardly requires a skilled doctor to be doing it. Outsourcing these tasks helps the doctor focus on patient-care while ensuring his practice remains profitable. HOW TO UPKEEP COMPLIANCE WHILE OUTSOURCING? All parties including all covered entities, hospitals, and providers of healthcare, clearinghouses, and business associates are bounded by HIPAA and are accountable. So all those who come in contact with the PHI should be sensitized about the confidential nature of their job and urged to maintain the privacy of health information. Associating with backend/billing services providers should be done with utmost caution. Instead of associating with freelancers or low-cost outfits that claim to be compliant, as a healthcare practice bound by HIPAA, you should thoroughly verify the vendor before outsourcing revenue cycle management, healthcare billing, patient engagement, Medical Coding, Denial management etc. WHY IS VELAN HCS THE RIGHT CHOICE? Velan is a decade old organization with more than 500 employees! We’re ISO 9001 Certified for robust business processes. We have served more than 12 countries across the globe and have a high success rating! Velan HCS has highly experienced professionals who’re 100% well=versed with HIPAA and its nuances. We proudly state that we’re 100% HIPAA compliant! Our ISO 27001 Certification speaks volumes of our secure handling of data and information. A course on HIPAA is conducted for the employees which are followed by a quiz at the end for ensuring that full understanding is achieved. The rules and regulations of HIPAA are displayed in the office to serve as a reminder and an alert at all times. We do not allow phones on the floor! We have security and vigilance cameras on the floor to track movements of employees. We have a strong automated audit trail mechanism to track the movement of data. Call us today @ +1 860 215 4997 or reach out using our contact form. Rest assured, we’re your winning choice and the ideal partner.